As an editor with the Writer's Market Books for more than a decade, it's my job to keep tabs on how thousands of publications are evolving. However, I admit there are a few that mean more to me than the rest. After all, I'm also a fiction writer and poet under my editor suit. And one publication I've been following for the past few years is The Atlantic. When I was in the writing program at the University of Cincinnati, most of my fellow writers (and professors, for that matter) focused on getting published in one publication: The New Yorker. However, I've never been too interested in The New Yorker. No, my aim was always focused on The Atlantic Monthly and Harpers. So I was saddened years ago to see how much The Atlantic was struggling and that it's future really was hanging in the balance after decades of unprofitability. In fact, the publication seemed to be heaving a hail mary pass by trying (a then innovative) digital first strategy that included taking down its pay wall. Miraculously, the gamble payed off. The Atlantic has gone from a red ink enterprise to a very profitable company with a mixture of offerings, including print, digital, and events. And now, the publication is striking again by openly stating that The Atlantic has turned their backs on SEO. Scott Havens, SVP of Finance and Digital Operations at The Atlantic explains, "Truly [our writers] are not really thinking about SEO anymore. Now it's about how we can spin a story so that it goes viral." Then, he goes on to add that they're more concerned with amazing content than meta-data and boring (SEO-enabled) headlines. If Not SEO, Then What? The Atlantic has not abandoned SEO for nothing. Instead, they are focused on sharing content that has good odds of being shared by those who read it. Or in other words, content that is written to "go viral." Another way to look at The Atlantic's shift in strategy is that they're choosing social over search. With Google changing its algorithms regularly, including a shift to a more social-centric search, this new shift in methodology seems to make sense on the surface. But no SEO at all? Maybe the article was an oversimplification and The Atlantic is still paying attention to SEO--just not letting it dictate content. Or maybe they've really abandoned SEO altogether and are relying on social media to pick up the slack. Maybe the future of digital is that writers and companies have to choose this or that. But I'm not buying it yet. I've seen first hand on this blog the power of social and the power of search. Call me crazy, but I think a writer can learn and understand the concepts of SEO and apply those principles to amazing content. If changing a word in the headline from "great" to "best" means the difference between showing up in 100 searches a month or 1,000 searches a month, then I think that's worth knowing and using. At the same time, I think content should always lead the way, because that's what people care about--and it is what people share. 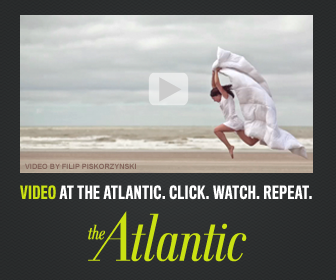 As Bob Cohn, the editor of The Atlantic Digital, says, "We're not writing for machines. We're writing for humans." Here's a great book on writing for social media! I've been a fan of Nick's writing ever since I read Net Words about a decade ago when I first getting my bearings online. For instance, I subscribe to his Excess Voice newsletter, and you should too. It's free. Anyway, Popcorn Content shares Nick's professional insights into making social media have the most impact with the least amount of investment--so that we can be social and get away from the computer, smart phone, tablet, etc., from time to time. Read Nick Usborne's Popcorn Content today! With my new blog, I've been trying to focus on content that people will not only find value in the first reading, but want to come back for a second look around. Short posts, but value packed. It's an experiment. So far it's a fun one too. Can't beat that combination. That's a great idea, Lara! Experimentation is always a good strategy. Concision always plays well online, and content that's worth reading more than once is excellent. Interesting. I don't know much about SEO, but I do know that google searches are definitely the top traffic sources for my blog. Actually, maybe you've already done this, but I would love your quick tips on SEO. After doing the 30-day Challenge, I understand a lot more about social media than SEO, so I'll go with social media! I'm actually kind of happy SEO is "dying" ... I've never fully grasped it, and it drives me nuts trying to figure it out sometimes! At the same time, I'm happy to now be a bit more aware of SEO and social media--it's made me focus a lot more, and better, on how I'm presenting my blog and sharing what I write! Thanks for this, Robert! One reason I'm skeptical about SEO is that getting a hit on a website doesn't mean that a person is staying on the site, reading the content, and performing whatever action you want them to take. I get a lot of hits on my blog for people who just want one of my photos or some dirt on a celebrity I've mentioned. They aren't necessarily interested in my content and probably won't subscribe. I would guess that shareability is usually more useful, because people share content that interests them with friends who share those interests--so even if fewer people are clicking through, they are people with a higher chance of being interested and engaged with your content, thus becoming loyal followers or customers or whatever you're seeking. Those are some important insights, Jeannie! Social is like having a friend send you somewhere to get something accomplished. SEO is like using the White Pages. Personally, I always have more confidence in a personal referral to a random search. At the same time, I think proper SEO (and proper SEO attempts to make landing pages relevant to the search terms/phrases) can lead to future social sharers. But I totally agree that social beats search in terms of confidence. I'm just now at the point where I am ready to start trying to understand SEO. How do we writers learn to understand it so we can use it? Do you have any good reasources? I'm definitely willing to try. Although, I'm a little techno-slow. Hey Emma (and anyone else interested in learning more about SEO), you can find more posts on SEO from MNINB by clicking on the SEO tag near the bottom of this blog post (but above the comments). I have a few posts related to the recent Platform Challenge, but below that are some posts that are more geared toward SEO basics. I may share another post in the future that's a little more advanced for SEO too. But in the meantime, you can check out the previous posts that are tagged SEO. As long as search engines exists and the businesses are going online then seo will not die. What is branding all about anyway?